Sherrie Rice. 71, beloved wife, mother, and grandmother, passed away unexpectedly on Sunday, Jan. 27, 2019 in Winhall. The daughter of the late Frank and Ruth (Friedman ) Ptacek, she was born in Philadelphia, Penn., on June 1, 1947. Sherrie enjoyed a 23 year long career as an elementary school teacher in Connecticut. She was very active with the arts in the communities where she lived including - Warner Civic Theater in Torrington, Conn. and The Dorset Players in Dorset. In addition, she was an active member and choir member at both the 1st Congregational Church in Manchester and 2nd Congregational Church in Londonderry. Sherrie was a former president of the local chapter of PEO (Philanthropic Educational Organization), and she was also a singer with The Nordic Harmony Swedish choral group. 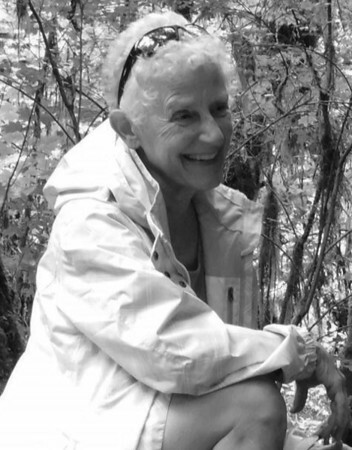 She volunteered as a docent at Hildene and was as a 2018 Hildene Friends Walk Honoree. In addition, she wrote the script for and portrayed Jesse Lincoln Randolph for The Manchester Historical Society as part of the Cemetery Tours of 2017. She enjoyed activities such as skiing, traveling, theater, reading, history, hiking, biking, snowshoeing, kayaking, gardening and book clubs. Sherrie leaves her husband, Robert Rice in Bondville; son, Christopher Rice and his wife, Angie, of Boxford, Mass. ; daughter, Amanda Van Natta and husband, Chad, of Myrtle Beach, S.C.; sister, Wendy Harper and husband, James, of Vero Beach, Fla.; grandchildren, Miles Rice, Phoebe Rice, Naomi Van Natta and Klay Van Natta, as well as nieces, nephews and cousins. Sherrie never stopped learning. She had a great love for adventure and exploration, but most of all, she loved her family and her “Grands” deeply. We will miss her every day. Posted in The Bristol Press, on Thursday, 31 January 2019 18:14. Updated: Thursday, 31 January 2019 18:17.